Comic books and graphic novels look great on a tablet. This is something I’ve only discovered recently, and I got into the habit by purchasing a few from Google Play. When I later tried to export them, I discovered that the only options were PDF and ePub, not the more popular CBZ and CBR formats Create CBR/CBZ Files To Distribute Your Comic Strip Or Graphic Novel Create CBR/CBZ Files To Distribute Your Comic Strip Or Graphic Novel The Internet has been kind to comic book creators (although piracy has inflicted a big dent in the profits of the major publishers) and web comics and sequential art tales created specifically for an online... Read More . If you find yourself in a similar situation, keep reading. These are the four comic book readers I came across for Android that were willing to load my PDFs. Let’s get the obvious out of the way first. 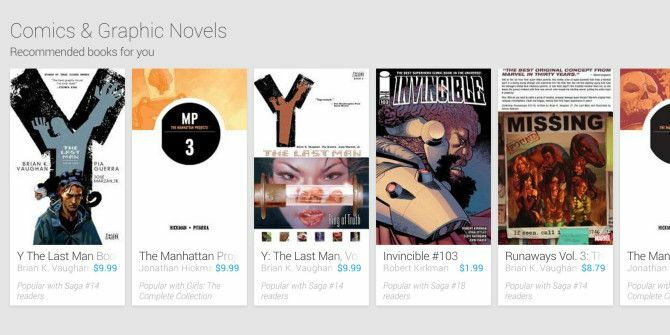 If you buy a comic from Google Play, Play Books is the app it’s intended for. The experience is smooth, but don’t look for any extra features. And without the ability to organize comics into folders or at least separate them from other books, things get messy really quickly. You can upload your own comics Get More Out of Google Play Books By Adding Your Favorite eBooks Get More Out of Google Play Books By Adding Your Favorite eBooks Google Play Books isn't just for eBooks purchased from Google; you can easily upload your own ePub or PDF eBooks that sync with Play Books. Read More (PDFs or ePubs) into the app, but you’re out of the luck if the cover doesn’t load up correctly. Play Books is simple and easy to use Reading A Book On Your Android Device? Google Play Books Makes It Easy Reading A Book On Your Android Device? 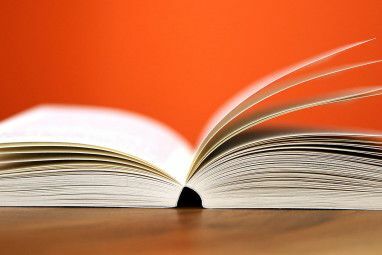 Google Play Books Makes It Easy Let's take a look at Google's stab at the fast-growing eBook market. Read More , but it’s just not all that great for reading comics. Challenger Comics Viewer didn’t give me any trouble locating my PDFs and importing them into the app’s self-contained library. Not only that, it imported my ePubs as well, making it the only third-party app I tried that supported both formats. The initial load time took a few minutes for my collection of maybe 40 or so comics, but pulling them up afterwards has been a spiffy affair (PDFs anyway — ePubs are a different story). Navigation takes a while to get used to. You can choose whether to open a comic through your file manager each time you launch the app, automatically open the most recent one, or browse through your library. Jumping from one screen to another can be pretty jarring, and so is the welcome page. The app provides plenty of options for customizing things to your liking. You can view comics in a grid (default), list, or by folder. 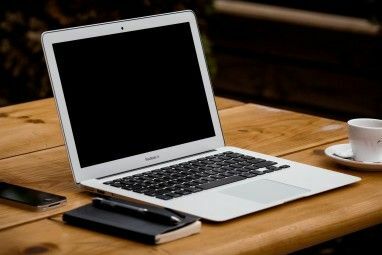 Once one is open, you can tweak which way to scroll (horizontally or vertically), which way to flip pages (left-to-right or right-to-left, Manga-style Read Manga Online for Free: The 5 Best Entirely Legal Sites Read Manga Online for Free: The 5 Best Entirely Legal Sites Manga is becoming increasingly popular. Here are the best ways to read manga online, all of which are entirely legal. Read More ), and how to display page numbers. The options don’t stop there, as you can see. Yet while you can get Challenger Comics Viewer to work the way you want, there isn’t much you can do about its looks. Like the following two apps on this list, it’s ugly. No, seriously, it’s hideous. This piece of software was designed in the Gingerbread era, and it has received very little sprucing up since. But when the options are this sparse, beggars can’t be choosers. To get Perfect Viewer to read your PDFs, you need to install a separate PDF plugin. While the extension is listed separately in the Play Store, it won’t show up in your app drawer. After the installation, PDFs will pop up inside Perfect Viewer just fine. Perfect Viewer is a bit easier to navigate than Challenger Comics Viewer. It has its own unique interface, with a global menu always accessible from a tab at the top of the screen. Here you can move around between files, edit how things look, tweak the layout, and tinker with the controls. It comes with the option to set a specific page as the cover, a necessary feature for comics purchased from the Play Store, as Google appends its own standardized page to the beginning of each file. Perfect Viewer comes with an outdated bookshelf view, and the remainder of the interface looks like a mix between Ice Cream Sandwatch-era Android and custom elements dissimilar to everything else. It doesn’t come together fluidly, but at least everything works. It’s just a bit jarring to read vivid depictions of video game lore 9 Video Game Themed Comics Books You Should Read 9 Video Game Themed Comics Books You Should Read It's time to switch off and go to bed. But you're still itching to play your favourite game. You need to wind down, so why not read your favourite game instead? Read More in such a dated environment. If you find yourself falling in love with the app regardless, consider donating a few bucks or even handing over a fiver. Doing so will unlock added features, such as the ability to turn black and white comics into colorized ones. ComiCat isn’t free, which is why I saved it for last. If you just want to open your comics in something other than a standard PDF reader, you can get by just fine with any of the previous apps. But for those who are willing to spend a few bucks, ComiCat gets my strongest recommendation. Here’s why. The interface is the easiest to navigate, and while it’s hardly an example of how beautiful Android apps can be, it still looks better than the others. There are multiple themes to choose from, and you still have the option to change a comic’s cover. ComiCat doesn’t come with all of the other apps’ features, but it’s still pretty customizable. It offers password protection, plenty of view modes, and the ability to sync your collection with various cloud services. Aside from the outdated look, it’s easily worth its $2.99 asking price. Is That Really All That’s Out There? No, actually. ComicRack can handle PDFs, but you need to connect the app with its companion Windows software to get access to the feature. Since I do my primary computing from a Chromebook, this was a deal breaker for me, but it might work for you. The latest version of Astonishing Comics Reader added PDF support as a paid in-app purchase. I couldn’t get the feature to work, but I definitely consider this the primary app to watch. With its sleek, Material Design-inspired interface, it’s the only one that looks right at home alongside my other Android apps (and it’s also available for Chrome). The second the kinks are worked out, this will become an easy recommendation. At the end of the day, buying comics from Google Play probably isn’t the best way to build a collection, especially when many publishers lock their titles down with DRM (Image Comics, thankfully, doesn’t). There are simply more options available if your comics are saved in other formats What Is the Best Way to Read Comics on Android? 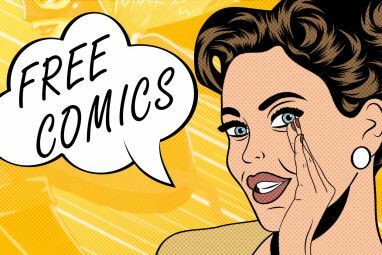 3 Great Apps Compared What Is the Best Way to Read Comics on Android? 3 Great Apps Compared I've never been much a fan of comics. When I was a child, I was in a hurry to grow up and a part of me always felt that they were overly adolescent. Now that... Read More . But if, like me, you got into comics via Google Play, these are the best alternatives to Play Books I’ve discovered, and they save me the effort of having to convert my PDFs to CBZ (though that isn’t necessarily as complicated as it sounds PDF To CBZ Converter: Convert PDF To CBZ Format Easily PDF To CBZ Converter: Convert PDF To CBZ Format Easily Read More ). Chime in below if you have another app to recommend. I’d love to hear about it. Explore more about: Comics, eReader, PDF, Reading. Comic Time does not support PDF, but I think it's the BEST option to read comics in Android. Have you tried Moon+ Reader? There is also the paid version Moon+ Reader Pro that you have to have I think to read PDF files. But the reader(s) import almost every type of flee type you can think of. I don't think they export became it's a reader, not an editor. It isn't the most beautiful reader,, but it is improving. It has a few themes. The filing structure isn't too bad either, though I don't have enough books to use it. $5 for Pro, but they have a half off sale 2 or 3 times a year. SumatraPDF will handle your pdf comics very well. Sumatra Windows only. Sorry for the post. PDF is the wrong format for reading comics in the first place. PDFs are just unpleasant all the way around. Actual comic book readers know there's such a thing as a .cbr file and are plenty of decent applications that sorry then. If my only comics reading experience involved reading huge PDF files, I'd never want to do it on a mobile device in the first place. It's really not an idea that should be encouraged or supported. ePub is also a decent format for coding comic book files (it's just a renamed ZIP file with a little XHTML/XML scaffolding, but would hold the JPG files with very little overhead). There's also CBZ, and now CB7 (7-Zip) formats for comics and JPG collections as well. Why would anyone choose to download comics in PDF format to begin with? PDF files notoriously "optimize" (degrade) images to begin with, and have (optional) DRM features and loads of overhead for scanned documents. Unless you're visually impaired, OCRing for text-to-speech makes little sense; any other format (ePub, CBR, CBZ, CB7) makes *much* more sense.